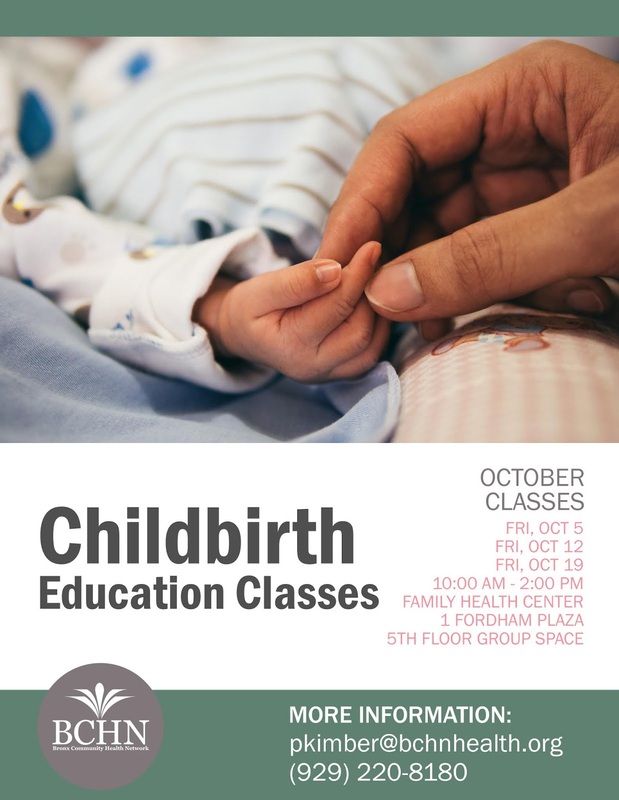 BCHN's Healthy Start program will be hosting childbirth education classes on October 5, 12 and 12 from 10:00 AM to 2:00 PM at Family Health Center (1 Fordham Plaza, 5th Floor Group Space). The classes will provide education on nutrition, the labor and birth process, breastfeeding, coping mechanisms and more. For more information, contact Patricia Kimber at (929) 220-8180 or pkimber@bchnhealth.org.